John Spalding(1774-1857). Statement published in: “The Yankee Mahomet” American Whig Review (NYC: Wiley & Putnam — June 1851). 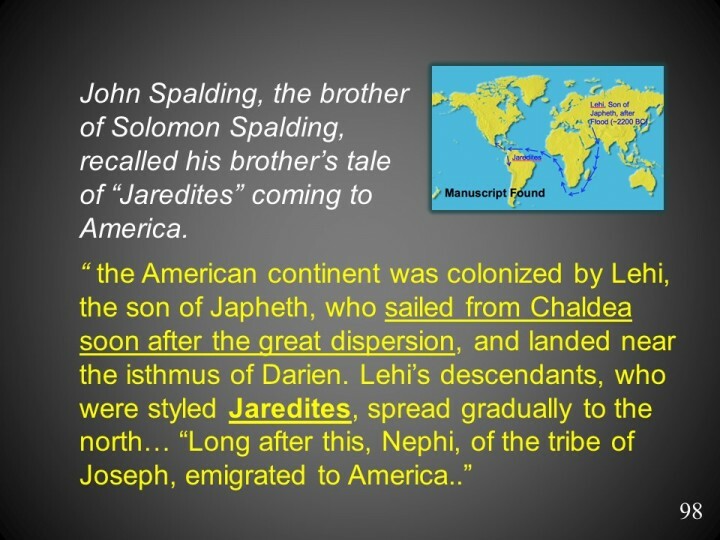 “Chaldea” refers to land in Southern Babylon bordering the Persian Gulf. Fundamentalist Christian timelines date the dispersion from the Tower of Babel to around 2300 BC.